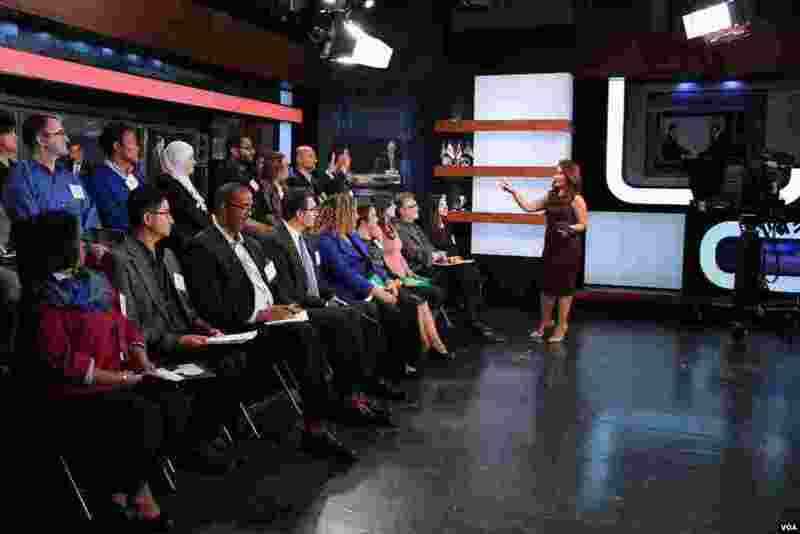 1 Participants watch the second presidential debate, October 9, 2016. 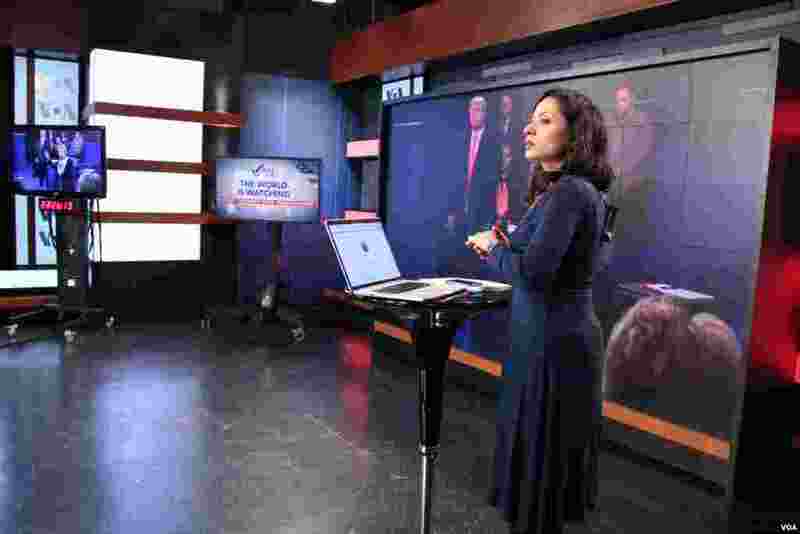 2 VOA Indonesian service's Patsy Widakuswara hosted the panel discussion following the second presidential debate, October 9, 2016. 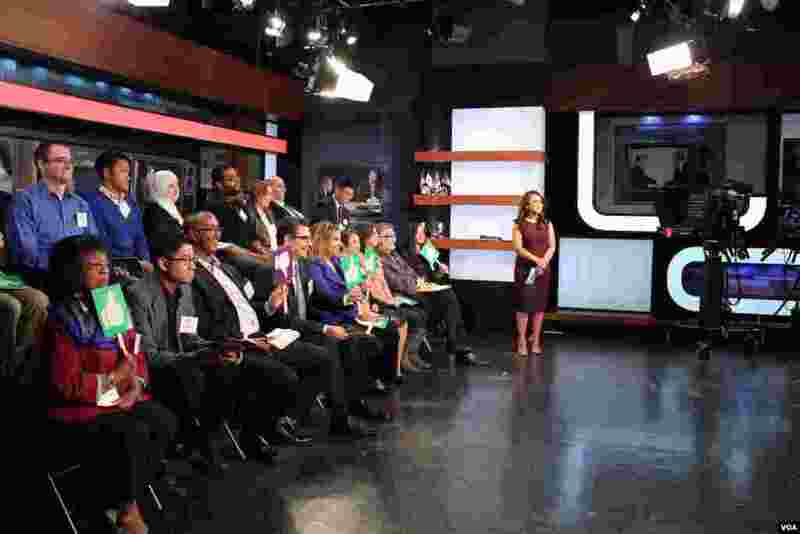 3 Social media host Sarah Zaman turned to our online audience for their thoughts using #VOAdebates. 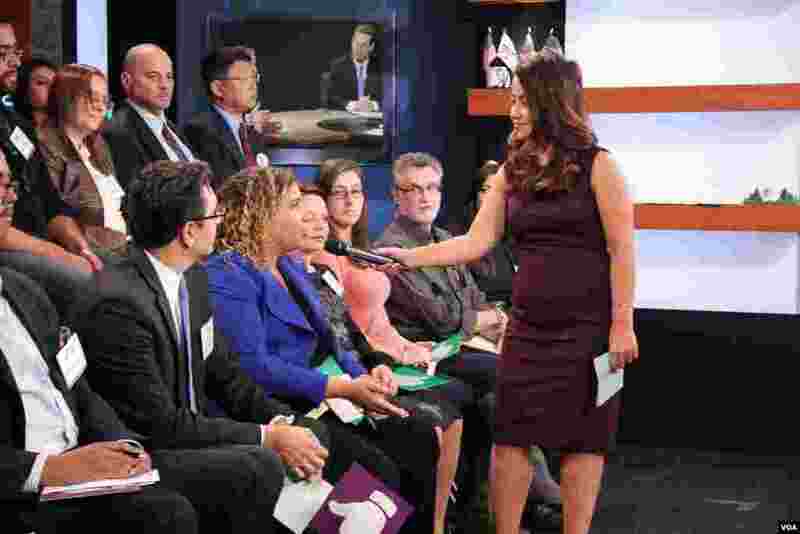 4 Participant Sarah Bassil, originally from Lebanon, shares her views on the debate performances of the candidates, October 9, 2016.